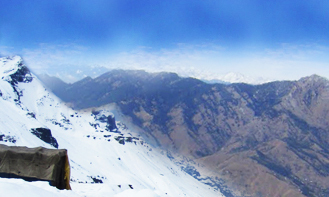 High up about 6,500 feet in the hills, Manali charms visitors with its great views of the snowcapped Himalayan peaks. The place is breathtaking in its beauty and adds to this the lure of the fresh mountain air! For so many years, families have visited Manali and enjoyed their summer breaks. Even as that hasn't stopped, a new breed of travelers has started to flock Manali. 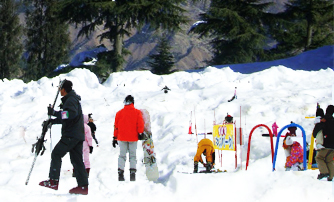 It's the younger crowd that's suddenly realized the potential of Manali and its surroundings as adventure destinations. 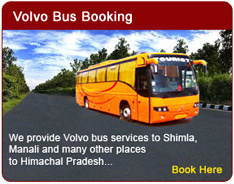 Today there are several operators who'd lead you to an adventures experience in the Hills. The best part about this small town is its easy accessibility by road from all parts of the North India, including Leh in Ladakh. 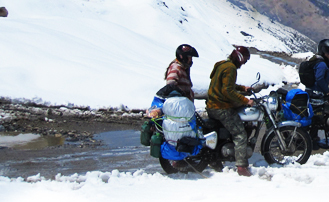 The routes to Lahaul-Spiti, Baspa, Sangala and Pin Valley are through Manali. In summer (May, June), this town is full to the brim, so make your booking early. The same is the case during Christmas and New Year. Manali (alt. 1,950 m or 6,398 ft) in the Beas River valley is an important hill station in the Himalayan Mountains of Himachal Pradesh, India, near the northern end of the Kullu Valley. 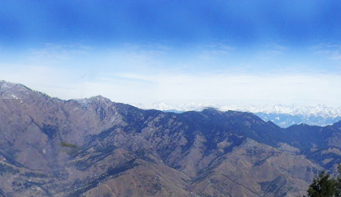 It is administratively a part of the Kullu District. The population is approx. 30,000. The small town was the beginning of an ancient trade route to Ladakh and, from there, over the Karakoram Pass on to Yarkland and Khotan in the Tarim Basin. Manali and its surrounding areas are of great significance to the Indian culture and heritage as it was the home and abode of the Saptarshi or seven sages. The ancient cave temple, Hidimba Devi Temple, is not far from town. In ancient times, the valley was sparsely populated by nomadic hunters known as "rakshas". The next arrivals were the shepherds who arrived from the Kangra valley and settled to take up agriculture. Some of the earliest inhabitants of the region are the 'naur' or 'nar' which is a caste unique to the Kullu valley. Only a few naur families are known to exist now. A naur family in the village Soyal near Haripur on the west bank of Manali was famous for the vast land they owned and their practice of having 'rakshas' as their labourers. The British were responsible for introducing apples and trout which were not native to Manali. It is said that when apple trees were first planted the fruits were so plentiful that often branches, unable to bear the weight would collapse. To this day apple along with plum and pear remains the best source of income for the majority of its inhabitants. 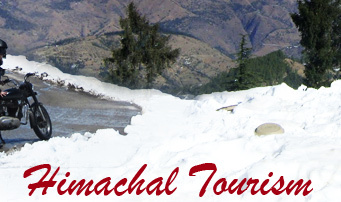 Tourism in Manali received a real boost after the rise of militancy in Kashmir in the late 1980s. This once quiet village was transformed into a bustling town with hundreds of hotels and restaurants. Hidimba Mata Temple: This temple is the most famous in Manali, and a must visit. Check out its 4-tier pagoda shaped roof and intricately carved doorway. Near the entrance you hand at a Yak ride and take some memories back by being clicked with a Yak! Outside, there are shops where you can get some snacks as well as some traditional handicrafts. Manu Maharishi Temple: Popularly known as the Manu temple, it is in Old Manali, across the river Manalsu. There is caf� right outside the temple where you can get some good international food - Italian, Chinese etc. Vashisht: A dip in the hot sulphur spring at the Vashisht temple is one you can't miss. Vashisht is about three kilometers from the Mall and has a temple with the typical local ornate wood-carvings. Outside it are some small cafes and a few souvenir and clothes shops. Jogni Falls: If you are interested in the treks which are not too exacting, walking upto the Jogni falls would be your thing. Park your vehicle at the parking lot at Vashisht. A small alley goes through a maze of houses behind the temple to take you to a trekking path leading to Jogni falls. It is a short 2-3 kilometer trek, offering splendid views of snow-capped Himalayan peaks. The Mall: The Mall is where most of the action is in Manali. Most budget hotels are in the lanes behind the Mall. This is the place to shop also and has some of the famous restaurants as well. In the evening, after sightseeing is done and no more is usually possible, tourist from almost all the Hotels throng the Mall, making it very alive and buzzing. Rohtang Pass: Higher up in the mountains 51 km from Manali, at an altitude of 4,111m on the highway to Keylong, is the Rohtang Pass. The Pass is open from June to November each year and offers the only access to Lahaul Valley (Snowfall is unpredictable even during summers). On the way are four sightseeing spots-Kothi, Gulaba, Rani-Nillah and Rahla Falls. start early in the morning to get to Rohtang and on the way you can stop at the many little dhabas for the breakfast. Rohtang Pass, at an altitude of 13,050 feet above sea level, In winter, the road of Rothang Pass is closed. Manikaran: In the beautiful Parvati Valley are situated the hot spring of Manikaran. the water from the springs is noted for its healing properties. The springs in this area are hot enough to boil rice. Manikaran, a place of pilgrimage for Hindus and Sikhs, is also a good spot for trout fishing. Located in the centre of town are Sri Ramchandra temple and the Gurudwara. One can enjoy a dip in the hot waters from the springs. 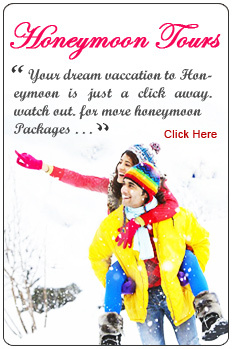 Solang valley: Popularly known as Snow Point, is 13 km northwest of Manali and famous for its 300-meter ski lift. It is a picturesque spot and offers splendid views of glaciers and the snow-capped mountains. 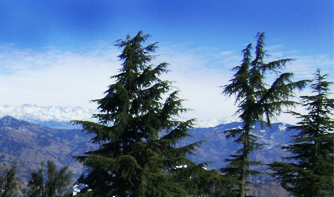 Jagatsukh, the former capital of Manali, is also an important spot. Naggar : On the left bank of the Beas, Naggar is situated on a wooded slop and offers splendid views, It was the capital of the erstwhile state of Kullu; there are a number of famous temple-Vishnu, Tripura Sundari and Lord Krishna. Cars and jeeps easily go upto the Nagar Castle, which was built by Raja Bhosal.